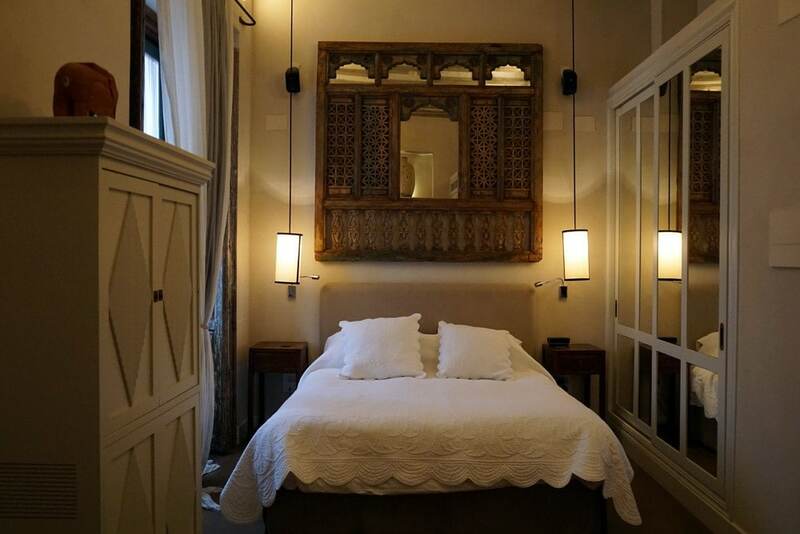 Tucked away in the winding streets of Seville’s Alfalfa neighborhood is the intimate Corral del Rey, a boutique hotel that lives up to its name as a place fit for royalty. We spent two nights there this December while my parents were visiting, and could have easily moved on in! 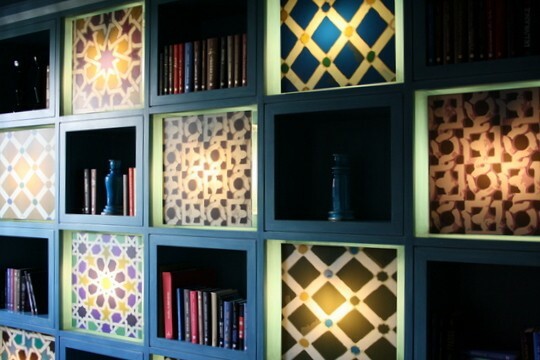 It was everything I look for in a great boutique hotel: unique, historic, gorgeous, unpretentious and comfortable. 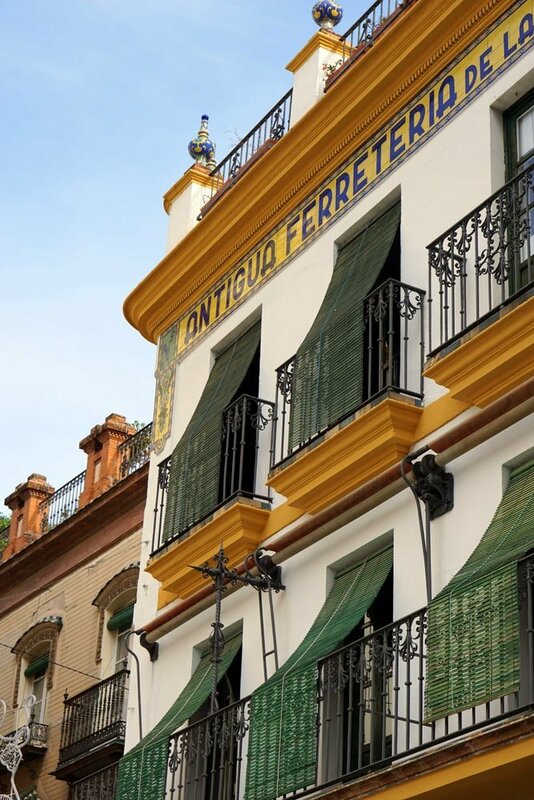 If you can manage to reserve one of its 13 rooms, it’s most definitely worth a stay when visiting amazing Seville. 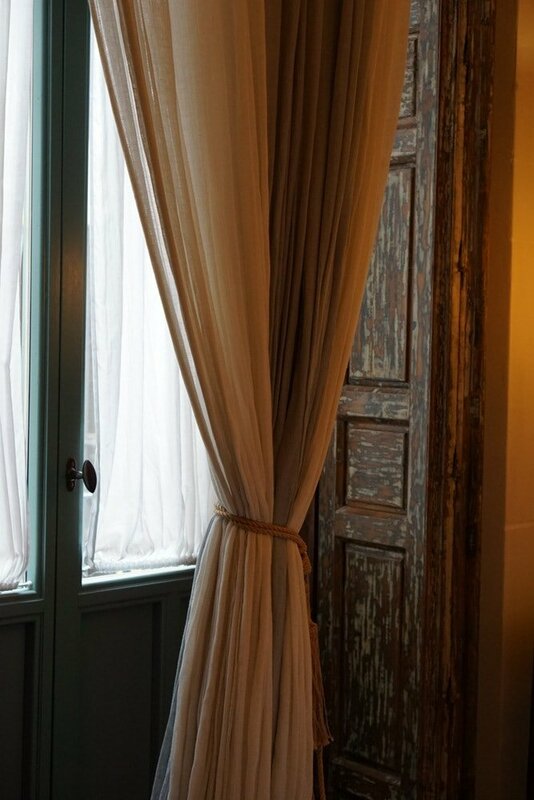 A meticulously restored 17th century casa palacio, the first thing you notice when you arrive to Corral del Rey is the spectacular iron-studded door. Seville is filled with these 17th century casas palacios (luxury estates) which, in my opinion, are among the city’s greatest hidden gems. 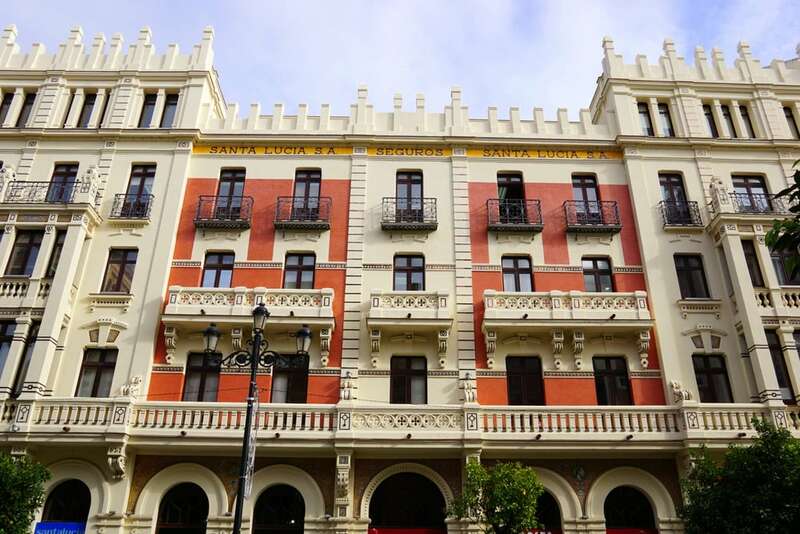 These gorgeous former homes (some, like Casa de Pilatos are open to the public) date back to when Seville was called the ‘Nova Roma’ or New Rome, because of the wealthy display of art and architecture (mostly built with riches from the discovery of the Americas). 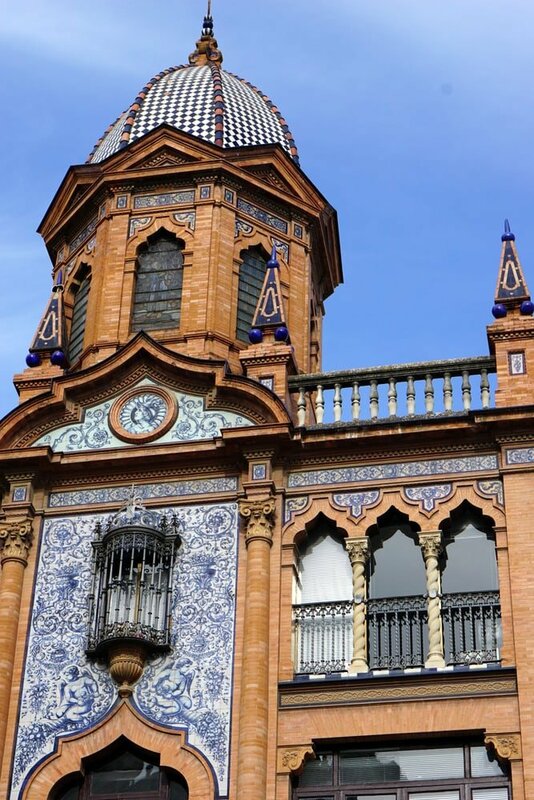 A blend of Italian Renaissance and Spanish Mudéjar styles are seen throughout the city. Corral del Rey has restored the gorgeous, original ceiling and boasts Roman columns (perhaps borrowed when built from the nearby Italica Roman ruins). 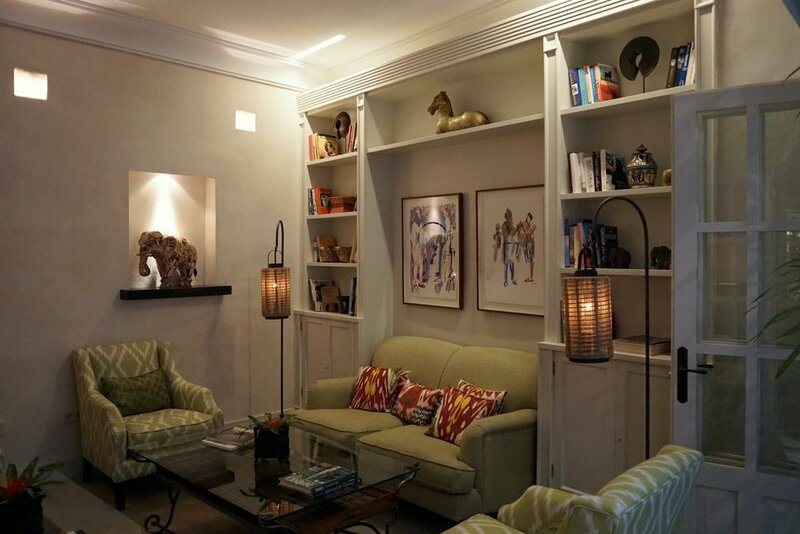 The decor is a mix of old and new, which makes every detail stand out. 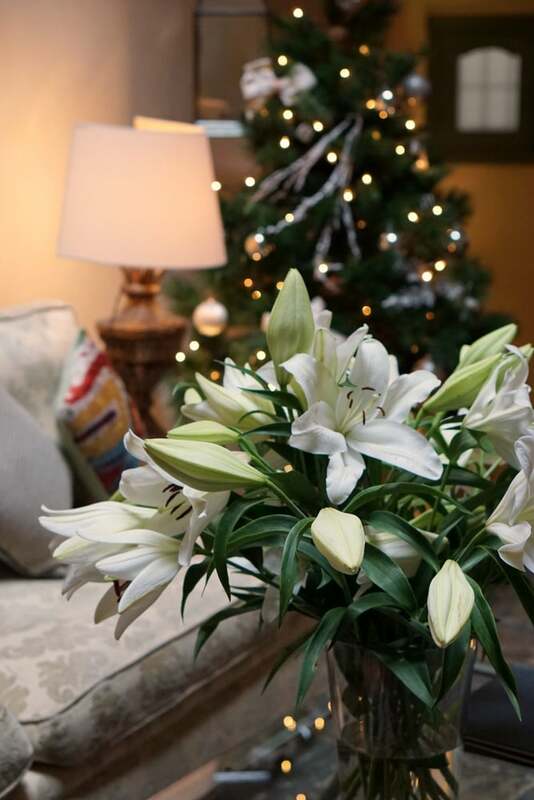 Our gorgeous junior suite, room number 10. A lovely welcome by the owners! Our room had everything we needed for a two day stay, and then some! 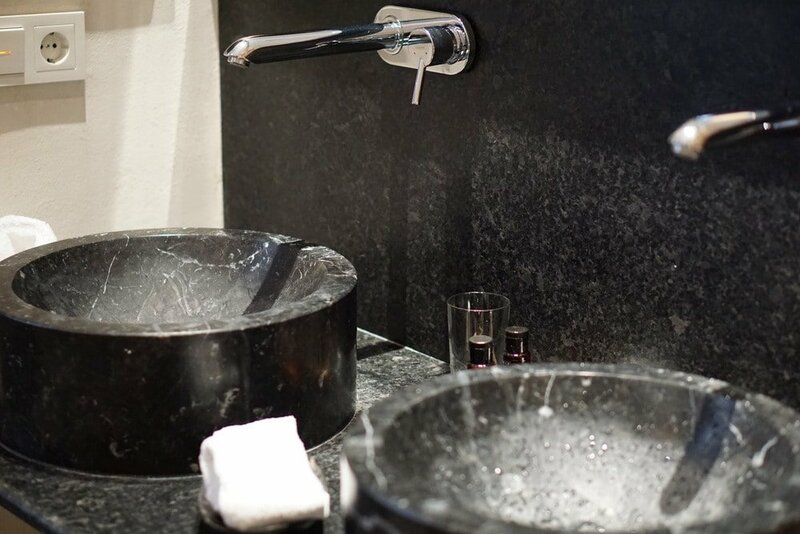 Fluffy bathrobes, wonderful soaps and shampoos, and even an in-room mini fridge and sink area with an espresso maker. I thought this would have been perfect had we wanted to open a bottle of wine one night, however with only two days we were always out and about! I loved the windows that opened onto the tiny Seville street. A glimpse at the beautiful bathrooms. 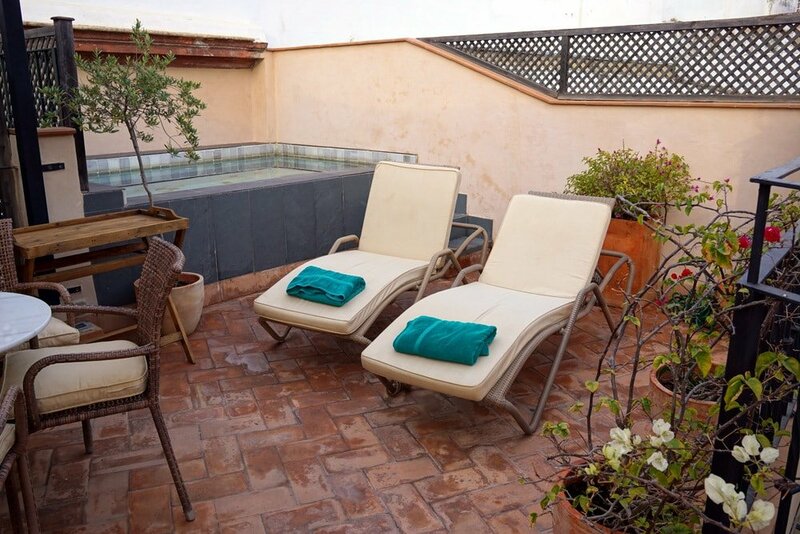 The roof terrace and plunge pool. I’ll be back in warmer weather for sure! We did make sure to have a quick peek at the roof terrace (which, despite being December, would have still been lovely for a drink). 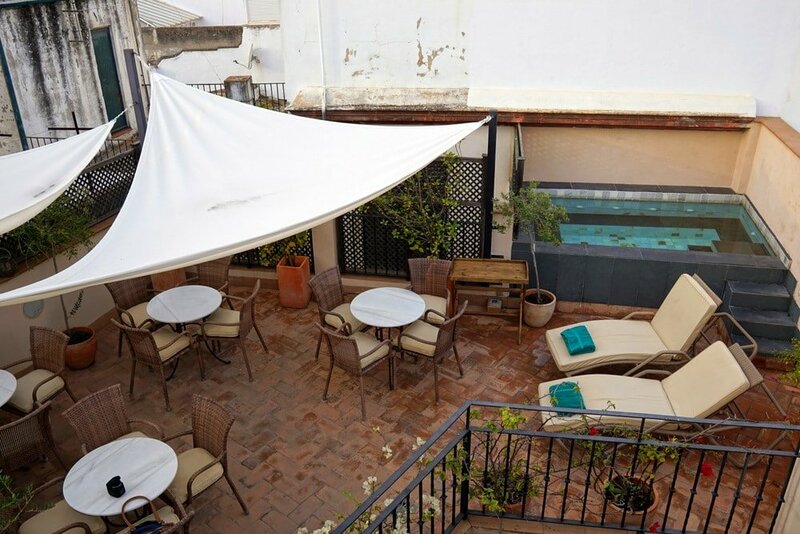 The plunge pool was obviously closed for the season, but it must be a total luxury during Seville’s hot months! And the view of the city (even the cathedral!) was fantastic. The location of Corral del Rey can’t be beat. It’s less than a five minute walk from the cathedral, and right on the border of the gorgeous barrio Santa Cruz, known as the Jewish quarter. 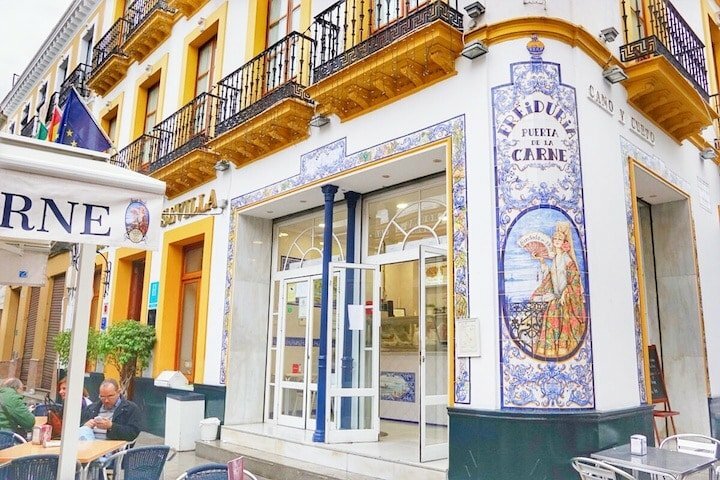 Within a 10 minute walk you have all of Seville’s charm and beauty, from the alcázar fortress, to its shopping streets and countless restaurants and tapas bars. 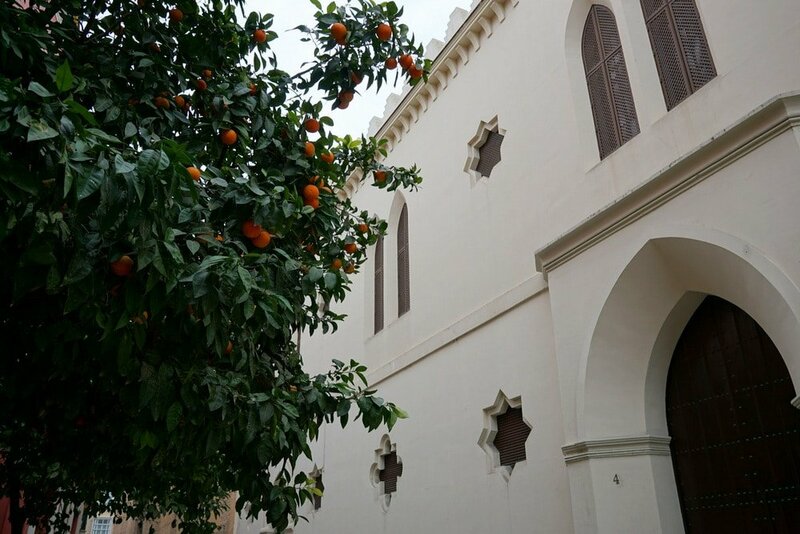 A former synagogue turned convent, right around the corner from Corral del Rey! Palm trees in winter always make me smile! My parents wanted to see flamenco, so we popped over to the nearby Museo de Flamenco where we enjoyed a show before dinner. From welcome to departure we were treated like royalty. We checked in while sipping a welcome drink in the Andalusian patio. 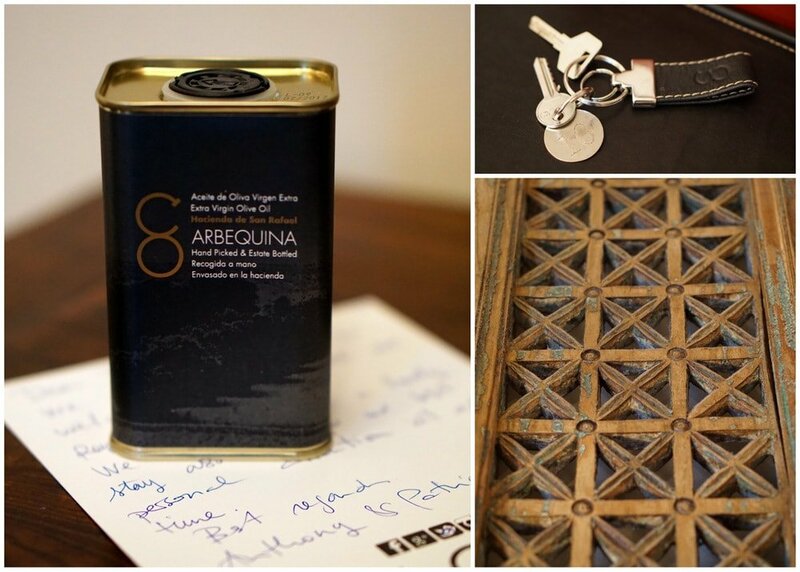 We were welcomed to our room with a personalized note and bottle of their own olive oil. And each morning there was a personalized news bulletin with updates from the US waiting for my parents. These little details were much appreciated. 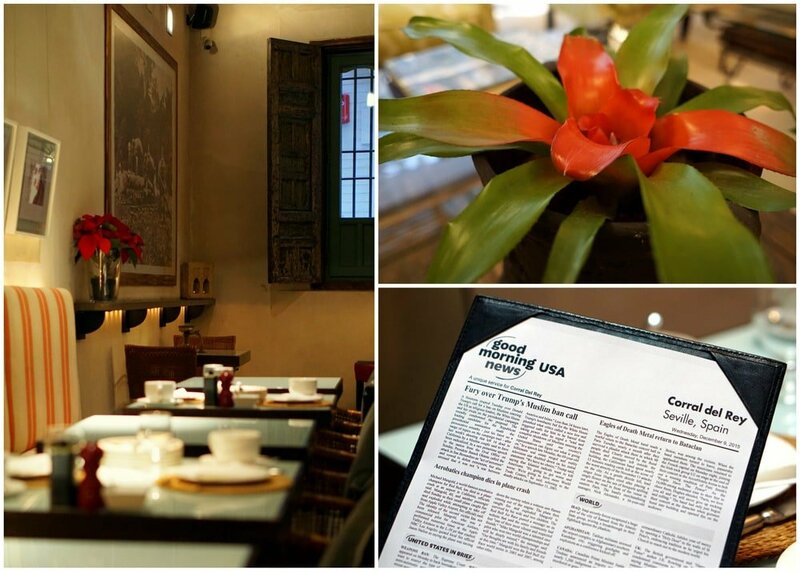 A stay at Corral del Rey includes breakfast, and it’s as delicious as you’d expect. Along with piping hot coffee, we enjoyed a basket of different toasts and freshly baked croissants, artisanal jams, fresh fruit and freshly squeezed orange juice. 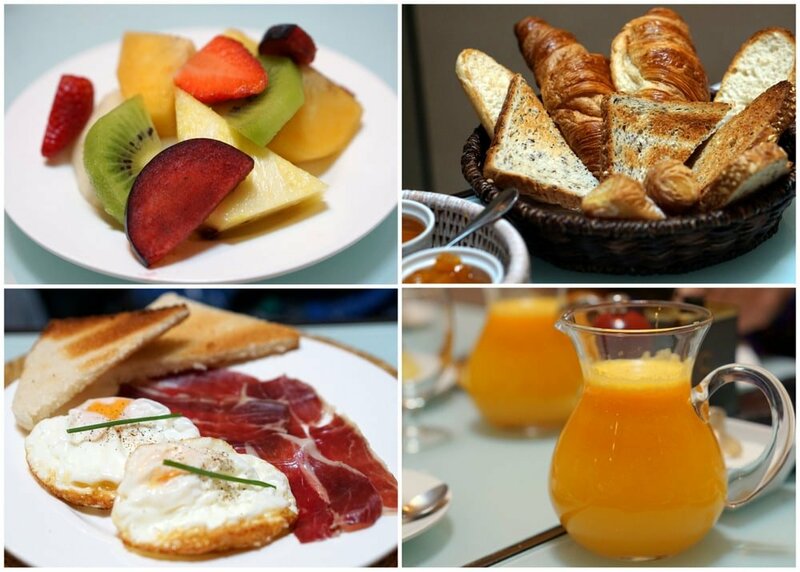 For an additional charge you can order things like olive oil fried eggs with Iberian ham– we had to try them of course! Little details make the difference! We didn’t dine in apart from breakfast, but I’m sure the hotel’s other food offerings are just as delicious. However Seville is known for its incredible tapas bars and, as the author of this guide on where to eat in Seville, I had to make sure my guide was up to date! We fit in both old and new on this trip, visiting places like La Bartola, La Mechela, La Azotea, and Enrique Becerra. 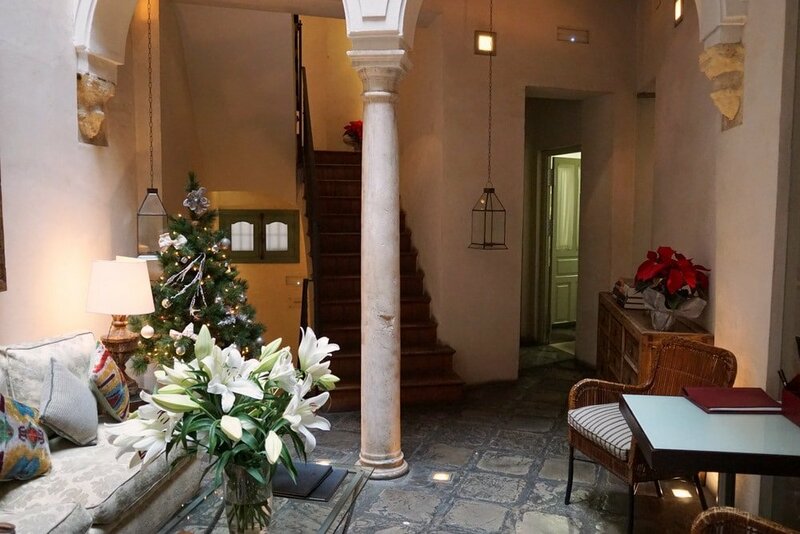 Overall, we really enjoyed our stay at Corral del Rey, and I will definitely continue to recommend it as a fantastic boutique hotel in Seville to friends and clients looking for accommodation. 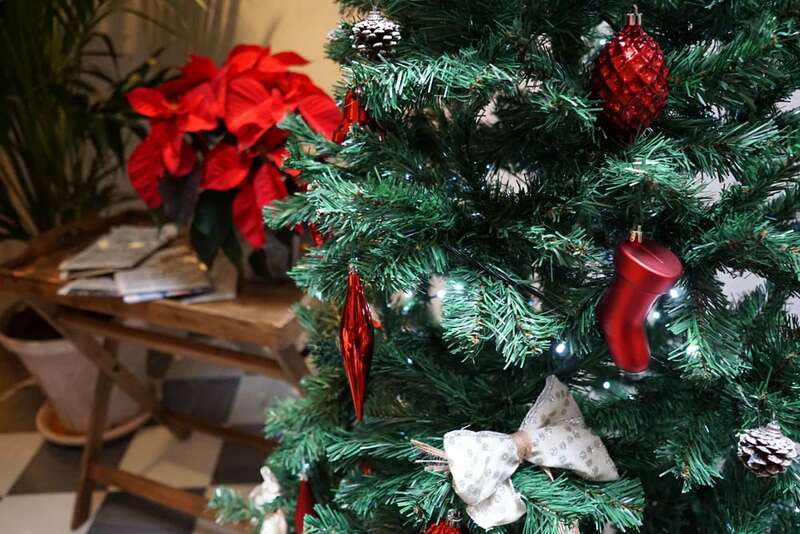 We were impressed with the level of comfort and small details that stood out throughout our stay, and only wished we could have stayed longer! Visiting Seville sometime soon? 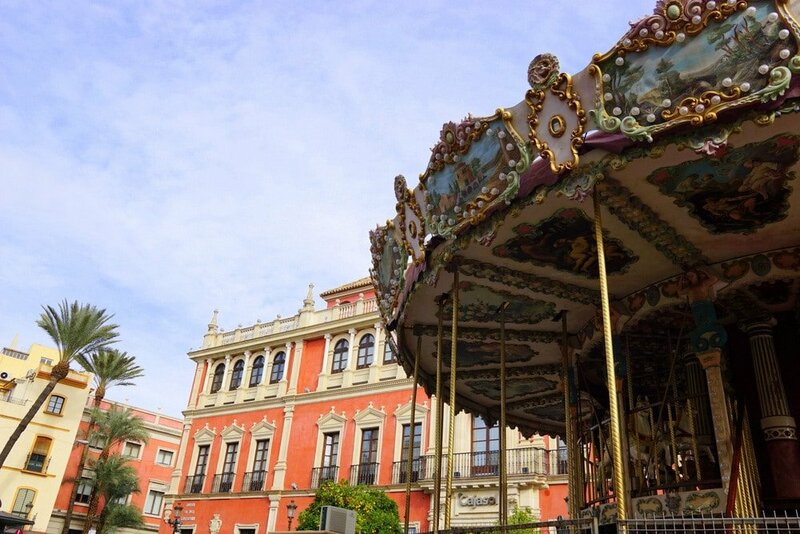 Don’t forget to check out my guide to eating in Seville, and my Seville tapas tours! 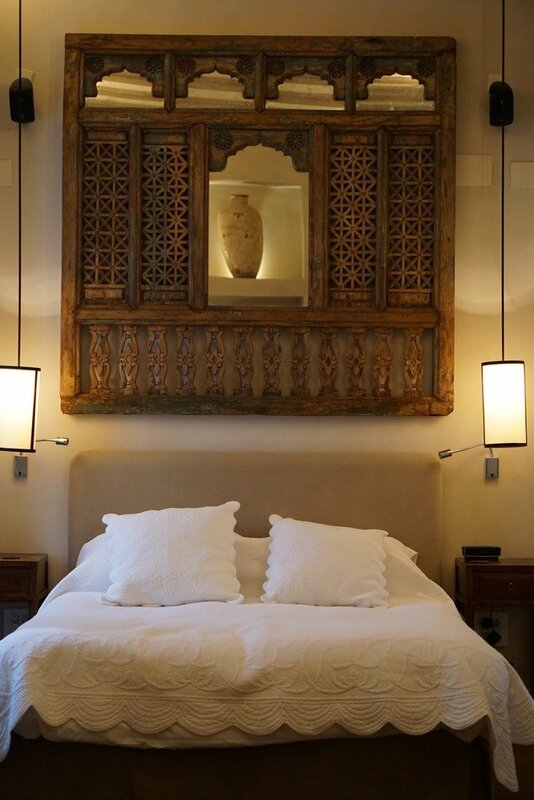 What’s your favorite boutique hotel in Seville? Interested to hear your take on La Bartola (just because you mentioned it!). I was beyond disappointed with prices and quality – my food came out cold, even when I asked for it to be reheated! And 4€ for a small tapa was outrageous considering the temperature. Oh no! When we went it was quite good, and we had fantastic service. Of the 8 or so dishes we ordered there were two stars, 4 yummy, and 2 so-so. I’d heard it was fantastic from friends, who have now complained about inconsistency. Perhaps that’s the issue then. It’s a shame! 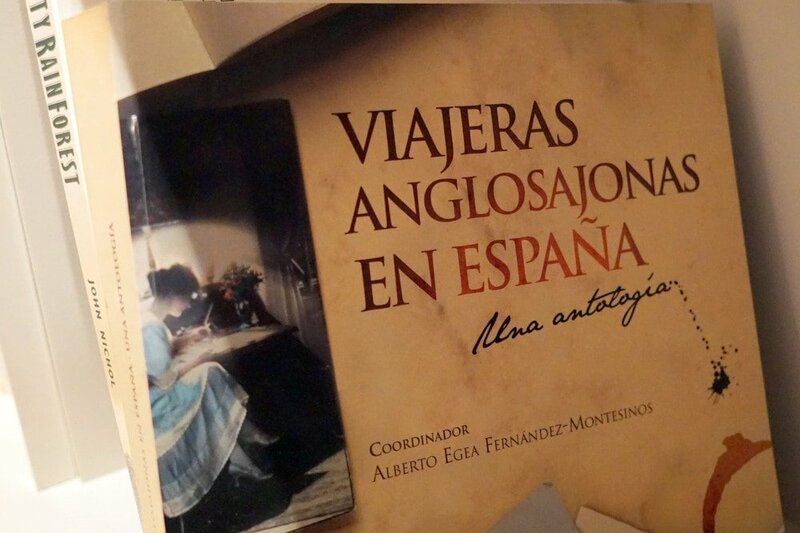 What a wonderful stay we had here with you and Alejandro! The hotel is beautiful and the staff was so attentive. It’s such a lovely memory of our time together!! Great article! The pictures are fantastic – very evocative. And you really capture the essence of Sevilla in your writing. I am dual US/Spain citizen and have lived there many years. Outside of Madrid (our family center), Sevilla is probably my favorite spot. All of Andalucia is special, really. Thanks for sharing and loving Spain. We are in California now, living in Napa Valley. Parts of it remind me of Spain – somewhat rural, lots of agriculture, but not quite as quaint. Check out our wine country blog at http://www.topochinesvino.com and follow us if you like what you see. 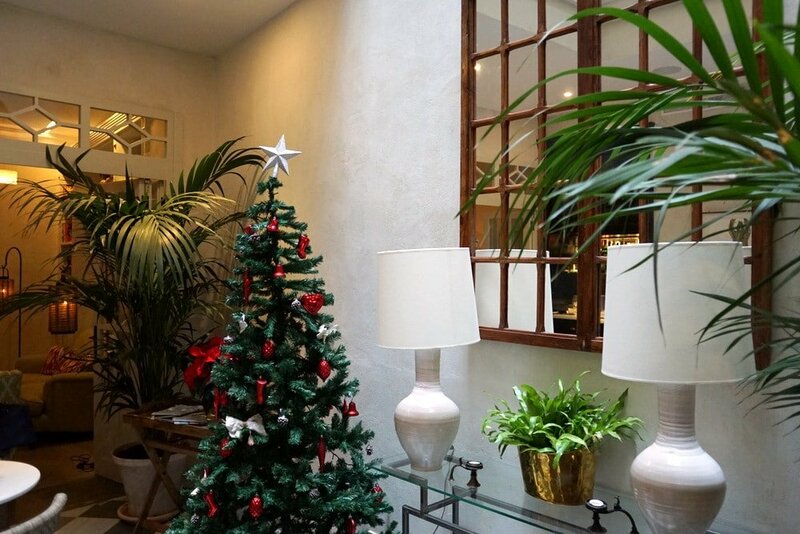 Our favourite place to stay in Seville! Your post brings back great memories. 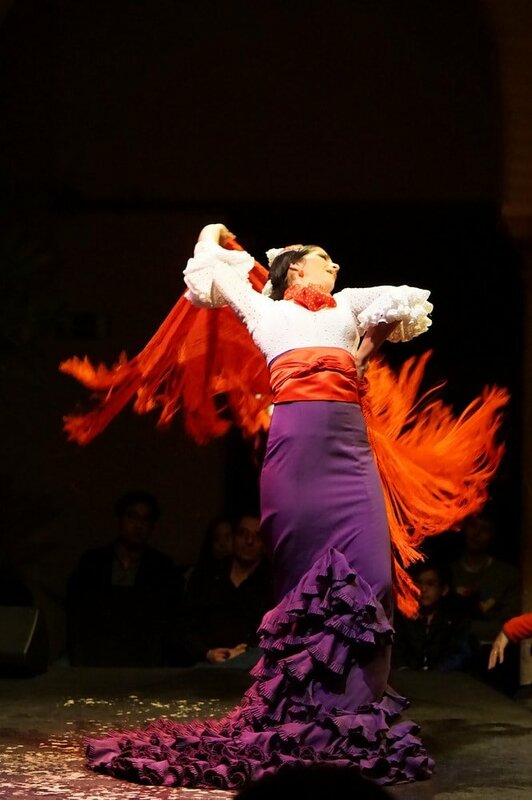 Pingback: The Best Places to See Flamenco in Seville - An Insider's Spain Travel Blog & Spain Food Blog!